Disabled people have had to fight to have their basic access needs met for decades in all areas of public life. The arts are no different. But out of struggle often comes innovation. In the case of the performing arts, sign language interpretation, audio description (AD) and captioning are the main areas of access provision. What happens when these become more than just a mere add-on or an afterthought? Several pioneers in the field have been exploring the creative potential of these access elements in a way that enhances the work for all audience members, whilst making the show accessible to those with particular impairments. This is sometimes referred to as the ‘aesthetics of access’ or simply ‘integrated access’. This playlist acts a simple introduction to the concept, with a few choice examples. The British Council commissioned video ‘Sign Language and Audio Description in Theatre’ is a great starting point, introducing each of the major access elements and speaking to some of the key proponents. 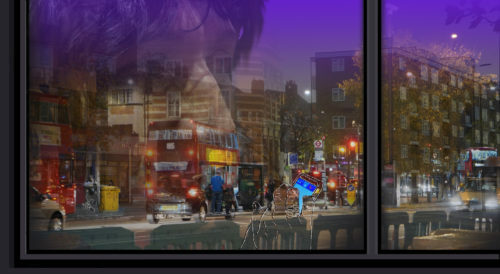 Graeae have been at the forefront of integrated access for years, their production The Solid Life of Sugar Water is best known for its famous writer, TV’s Jack Thorne. The show has integrated British Sing Langauge (BSL) and AD but it’s the captions that really stand out, projected onto an innovative set like thought bubbles, almost giving a comic-book effect. Birds of Paradise are another leader in the field, their latest production My Left/Right Foot, like most, integrates all three access features nicely. Award-winning playwright and dramaturg Kaite O’Reilly is preoccupied with language and is committed amalgamating different cultures on stage in a creative exchange. Woman of Flowers is a great example of deeply rooted collaboration between spoken and signed languages. Extant is a theatre company led by visually impaired people, employing VI actors. As such, their theatre always makes great use of AD, with their production of Ionesco’s classic, The Chairs being an excellent example. Ramps on the Moon is a consortium of 7 mainstream regional theatres (plus Graeae) which is making all singing, all dancing (and all signing!) productions featured integrated casts and multiple access elements. Our Country’s Good made particularly innovative use of BSL, with it being used by the prisoners to communicate so that their captors couldn’t understand; BSL as a language of freedom. Birds of Paradise’s Wendy Hoose is often cited as a great example of a biased narrator being used as a great device for AD. Elbow Room Theatre has taken this a step further in The Importance of Being Described…Earnestly with multiple voices providing competing and highly subjective descriptions, with great comic consequences.